Did you ever wonder how an Inductive Proximity Sensor is able to detect the presence of a metallic target? While the underlying electrical engineering is sophisticated, the basic principle of operation is not too hard to understand. At the heart of an Inductive Proximity Sensor (“prox” “sensor” or “prox sensor” for short) is an electronic oscillator consisting of an inductive coil made of numerous turns of very fine copper wire, a capacitor for storing electrical charge, and an energy source to provide electrical excitation. The size of the inductive coil and the capacitor are matched to produce a self-sustaining sine wave oscillation at a fixed frequency. The coil and the capacitor act like two electrical springs with a weight hung between them, constantly pushing electrons back and forth between each other. Electrical energy is fed into the circuit to initiate and sustain the oscillation. Without sustaining energy, the oscillation would collapse due to the small power losses from the electrical resistance of the thin copper wire in the coil and other parasitic losses. 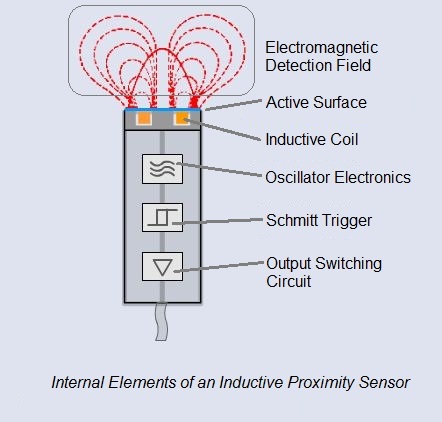 In his post, When Do You Specify An Inductive Sensor?, Shawn Day (Market Manager, Inductive Sensors) discusses selection criteria and application for inductive proximity sensors. In that article, Shawn focuses on what are sometimes referred to as discrete sensors – sensors that detect the presence of a metal target, and then turn on (or turn off). As Shawn points out, there are many, many applications for this type of discrete sensing. But what if just indicating the presence or absence of a part is not enough? What if you need to know not only if a part is in a particular position or not, but rather you need to know exactly where the part is at any given point along its entire range of travel? That’s where analog, or continuous, inductive position sensors come into play. 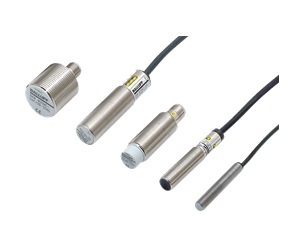 Analog inductive sensors employ basically the same technology as discrete proximity sensors. That is, they use inductive coils to generate eddy currents that respond to a metal target. But, unlike discrete sensors, analog inductive sensors provide a continuously variable output, not just an on/off change of state.